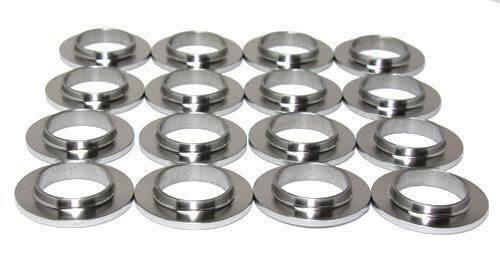 CNC turned Chromoly valve spring seats are meant for pushing your engine to the absolute limits.With additional clearance built in, the need for shims and potential wrong stacking of shims is eliminated when higher spring seat pressure is required. OEM replacement Valve Spring Seats are perfect for replacing old seats when upgrading to a high performance spring kit like the GSC Beehives. Same thickness as OEM, so no spring pressure change when using these.